In the early hours of Sunday morning Bitcoin futures began trading on the Cboe (formerly known as the Chicago Board Options Exchange). Next week the CME Group (the derivatives exchange behind major financial instruments such as the S&P500, WTI Crude Oil, Gold, Soybeans, the 10-Year Note and Eurodollar) will launch its own futures contract. These developments are viewed in some quarters as fairly controversial. For a start, Bitcoin has been in existence for less than ten years, so is largely untested. It is a digital currency, but fails the definition of a true currency as it has yet to gain widespread acceptance and its use as a store of value is debatable. Rather, some would argue that it is nothing more than an unregulated, peer-to-peer medium of exchange. Bitcoin also displays extraordinarily high volatility (around 20 times higher than that of the US dollar) with frequent daily price swings of well over 10%. Yet these features alone are key attractions for many users, as are the facts that for now Bitcoin falls outside the control of governments and central bankers, and that there is a cap on how many Bitcoins will ultimately be mined. Yet listing Bitcoin futures on mainstream exchanges should ultimately help to boost the digital currency’s legitimacy and lead to more widespread acceptance. It will certainly make it easier for financial institutions to become involved in Bitcoin. Many are currently prohibited from investing in digital currencies. However, a market in exchange-based, regulated futures means there is now a mechanism for speculating on the price. It is possible for financial institutions to take a view on Bitcoin without the need to create a digital wallet and open accounts with a bunch of the dozen or so different cryptocurrency exchanges in order to actively trade. Some commentators expected Bitcoin to fall in price once futures opened as it gave speculators a method of shorting the market. In reality, the January (front-month) Bitcoin futures price topped 18,800 soon after the Cboe opened. The rally triggered two of the Cboe’s in-built trading halts which ensure that trading stops for two minutes after a 10% move (up or down) from the previous session’s close and for five minutes after a 20% move. Trading volumes were light initially. Two and a half hours after the open just 800 contracts had traded, although this had risen to 1,500 after four hours. By the time the US equity markets opened, over 3,000 contracts had changed hands. There isn’t one definitive price against which all Bitcoins are valued. 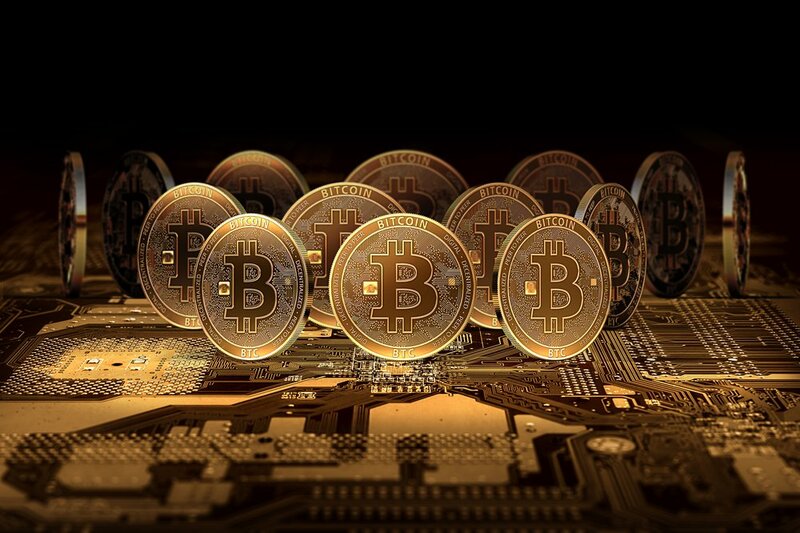 There are numerous different exchanges which act as venues for buying and selling Bitcoin. Now both the Cboe and CME’s contracts are cash settled in dollars – in other words, if you have a position open in Bitcoin when the futures contract expires, any profit or loss is calculated by taking the difference between your opening price and the exchanges’ settlement price, and multiplying this by the contract size. The Cboe uses prices from the Gemini exchange while the CME Group will use the Bitcoin Reference Rate (BRR) to value and settle contracts. The BRR is calculated from data provided by a number of exchanges including Bitstamp, GDAX, itBit and Kraken. Last Thursday GDAX, the Coinbase exchange, saw Bitcoin hit an all-time high just below 19,700 before it slumped to an intra-day low of 13,790 the following day. But the price of Bitcoin on other exchanges was significantly lower. This morning there were some big price differences early on which saw Cboe futures trading over 1,000 points higher than the GDAX spot rate for most of the first day’s session. As long as trading volumes and liquidity picks up these arbitrage opportunities should eventually narrow as traders come in to take advantage of price discrepancies between exchanges. These are unlikely to disappear completely and futures contracts should trade at a premium or discount to the underlying until they converge when the contract expires. But this could mean that in time some of the existing exchanges become less popular if trade starts to concentrate on a few major venues. It’s early days – both for the regulated Bitcoin futures market and the underlying cryptocurrency itself. But there can be little doubt that digital currencies, and critically the blockchain technology behind them, are here to stay. The big question of course is which ones? We can expect volatility to continue and no doubt there will be some stomach-churning price movements as more and more speculators and investors take an interest. But perhaps that’s no bad thing, particularly when volatility in US stock indices is at all-time lows.